These proud parents of three girls leave them behind on the run to prove themselves capable of winning $250,000. 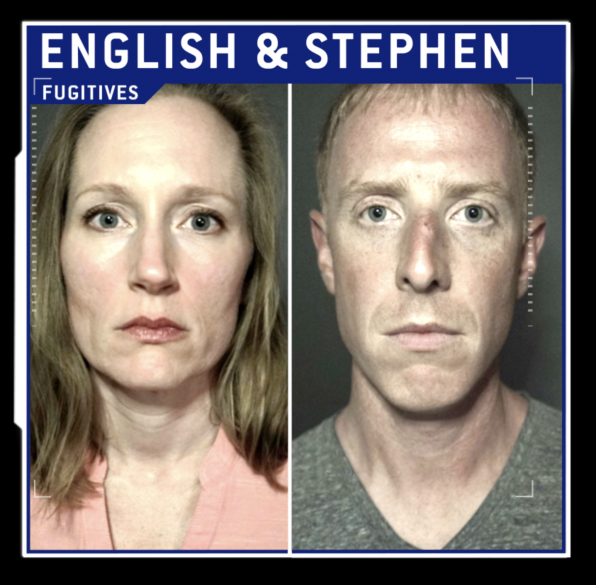 English is a full-time clinical audiologist while Stephen is a stay-at-home dad. 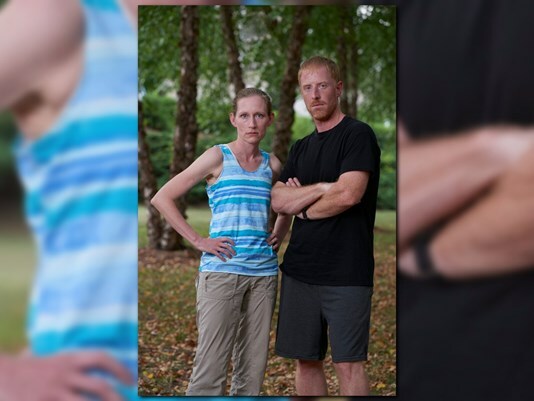 With an enormous binder written by English in tow on the hunt with her self-proclaimed “tips to success”, this couple from North Carolina can run, but can they hide? Former US Marshall Chief Inspector Lenny DePaul, notes that their chances are slim to non. Thinking that the couple has limited skills could think they're hiding, but the hunters would be just behind them. In fact, the biggest challenge to them could be themselves. He gives the duo two weeks at the most, with a fugitive rating of 5/10. 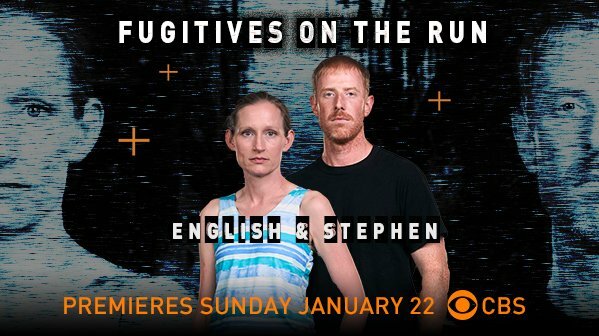 Will English & Stephen manage to evade the hunters? Or will overthinking heavily jeopardize their success? This team should be very interesting to see. English already seems like a fun personality (her binder <3 bitching out stephen on the side of the road lol <3) and Stephen is pretty cool as well. Here's hoping HQ is wrong and they can beat the odds. It appears CBS did proper team photos for this show instead of just mugshots but were left unused. Here's English & Stephen's (the only one out in the wild!). I love them because they're such an ordinary, average couple (with an interesting dynamic, though, as Stephen is a househusband!) – something TAR fans have been craving! However, I don't think they'll win.